From yesterday's prep: holding below the 62 level could see a long liquidation break down and see shorts push lower. For the intermediate time frame to remain bullish I'd want to see the 2549.00 level hold, which was last month's mid, VPOC and POC. If the market cannot hold below 62.00, shorts will be trapped and we could see a covering rally, though looking for sellers to step in at today's red zones. 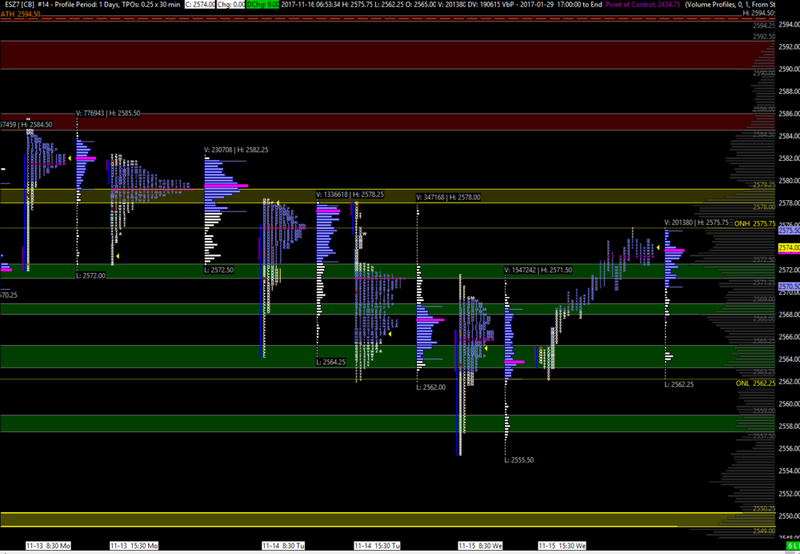 We had range extension lower for the month, but still holding above October's mid and VPOC at 49.00. Big picture's still bullish technically and the all time high hasn't been hit during RTH yet. 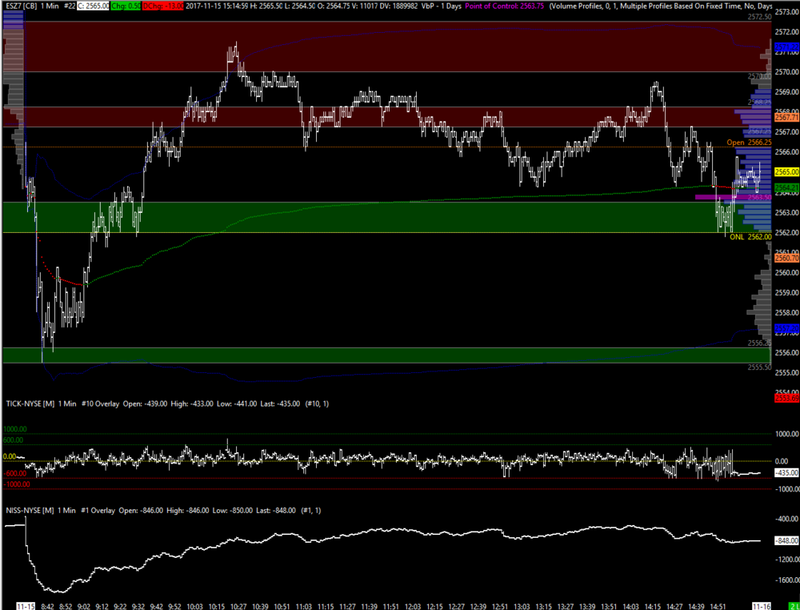 Overnight the range is 2562.25-75.75 having steadily moved higher all morning. We may see some correction of overnight longs after the open, though if the market is set to push higher I'd expect the 71.25-72.50 zone to hold. If not, 68.00-69.00 and 63.25-65.25 are areas I'd watch for responsive buying and potentially 57.50-59.00 depending on market context. Above, a break and hold above 79.25 gets the market short term bullish again, in line with the longer term.